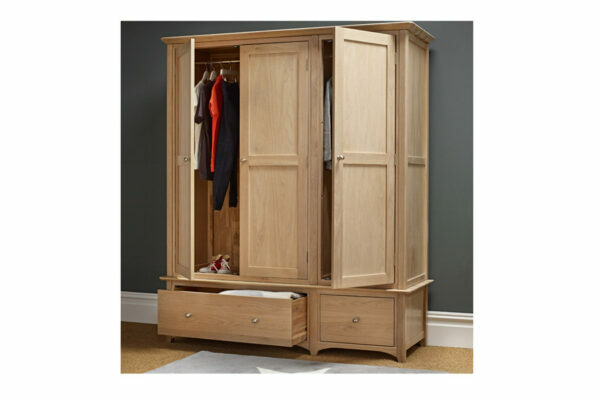 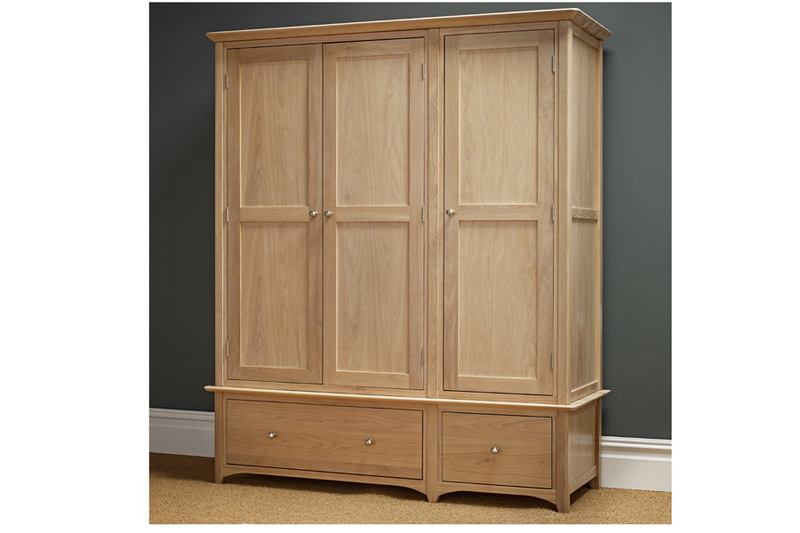 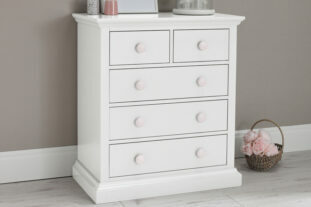 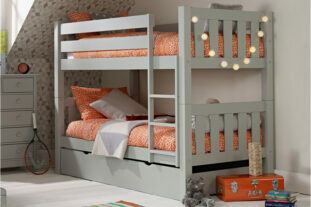 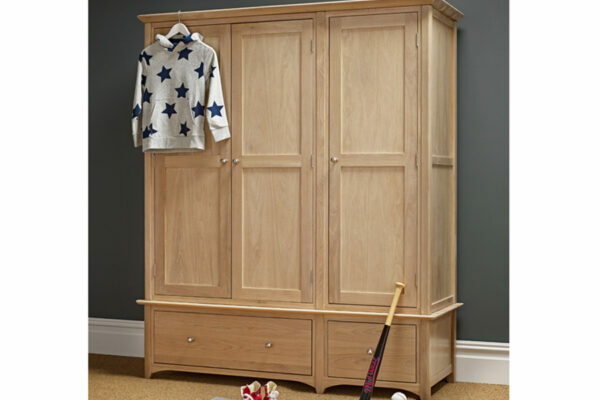 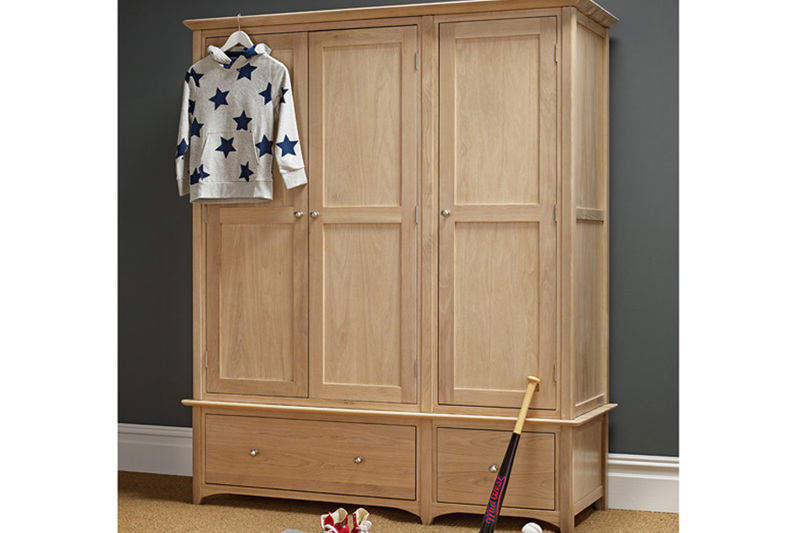 A fabulous addition to any bedroom, the Woody Triple Wardrobe is perfect for hanging all your favourite clothes. 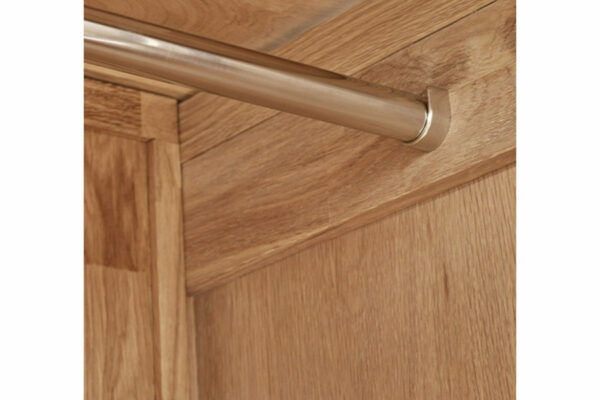 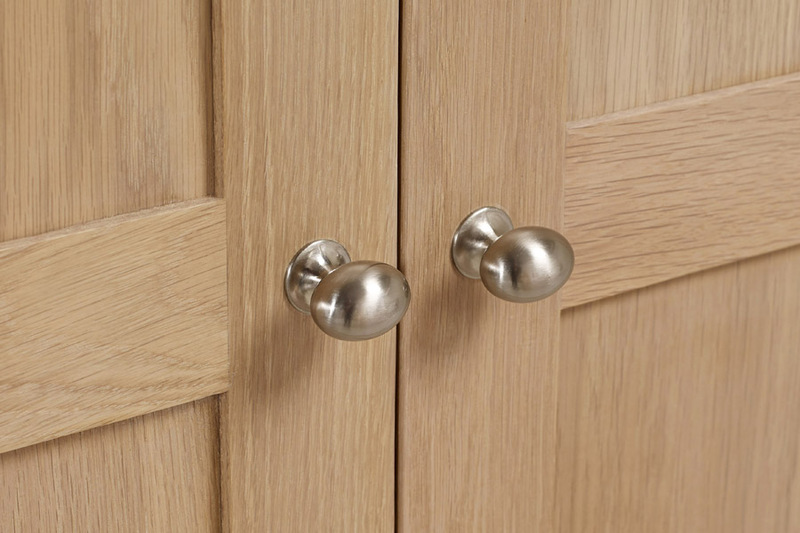 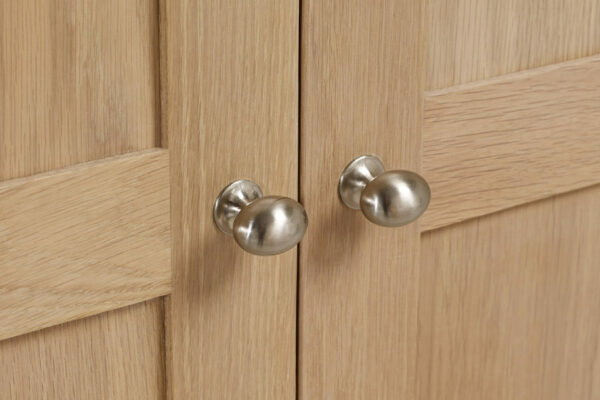 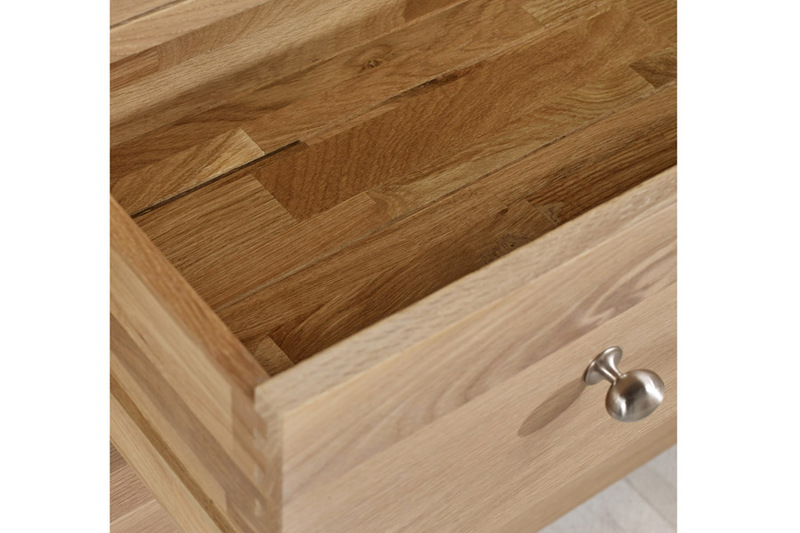 Made from beautiful blonde oak, the wonderfully designed wardrobe features smooth, brushed metal handles, sleek lines and curved detailing. 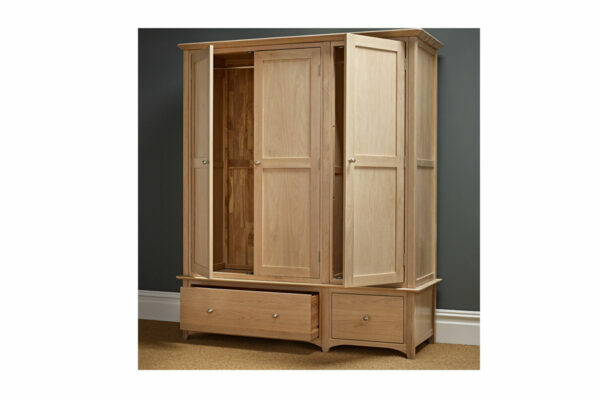 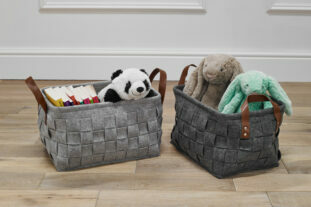 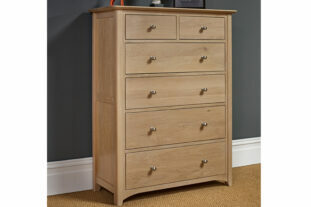 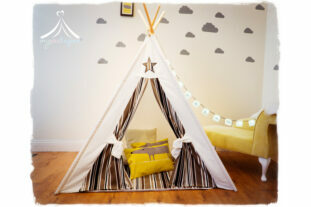 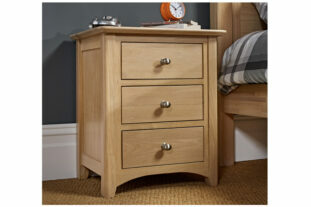 The Woody Triple Wardrobe can be styled with other furniture in the Woody Collection.